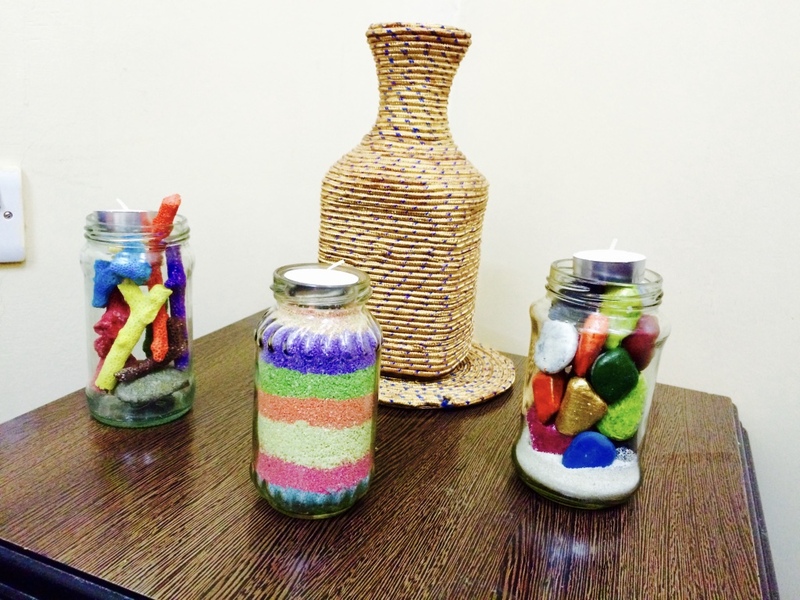 So Diwali is round the corner and is the festival of DIY …Since childhood I have been excited about this festival. Diwali means rangoli, decorations, diyas,candles and fun.We celebrate a no cracker diwali and hence crackers are not a part of our celebrations.This will be again one of the diwalis I will be celebrating away from home but I don’t want to miss out on the fun with Nirvaan (N).This year has been special and all festival celebrated will have a mark on him and his upbringing.Anyways so while you all are busy with the diwali cleaning and shopping here is a DIY I did for Diwali hope you like it. The glass jars used here are the ones we usually throw like the jam,pickles,garlic paste jar.I cleaned them removed the label using hot water. 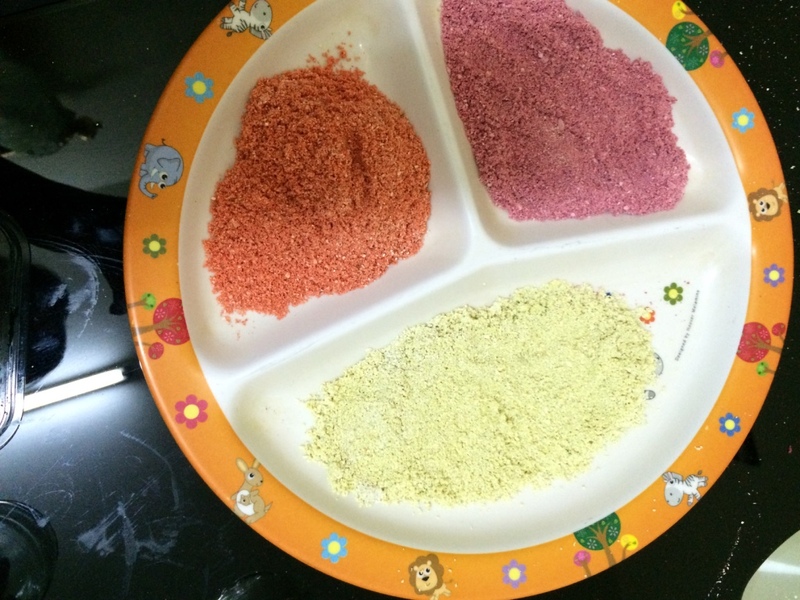 Corals and sand we got from maldives you can use salt if you don’t have sand and instead of corals you can use uncooked pasta ,rice,chick peas etc. 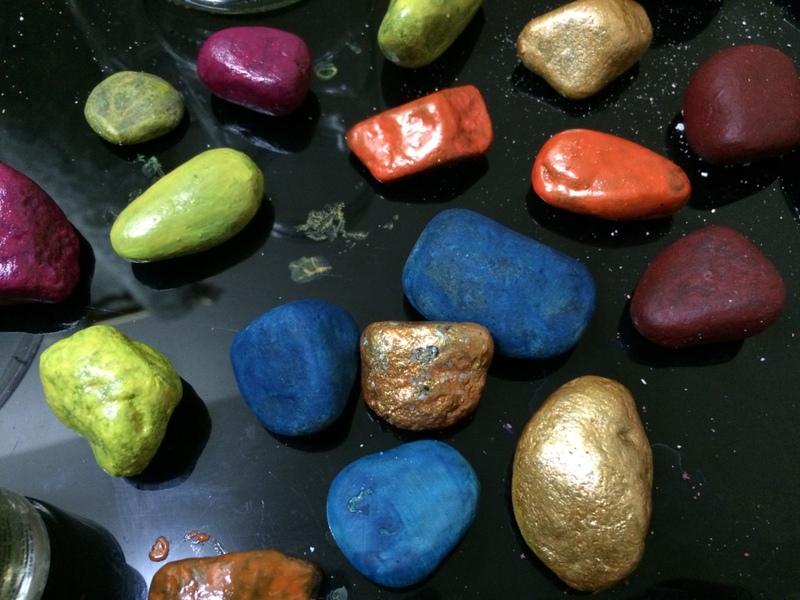 Start with painting the pebbles as they take the longest of time.I have given a coat of acrylic paint first to the pebbles and then painted them with nail paint (cheap ones from the local shop)to get the glossy look. 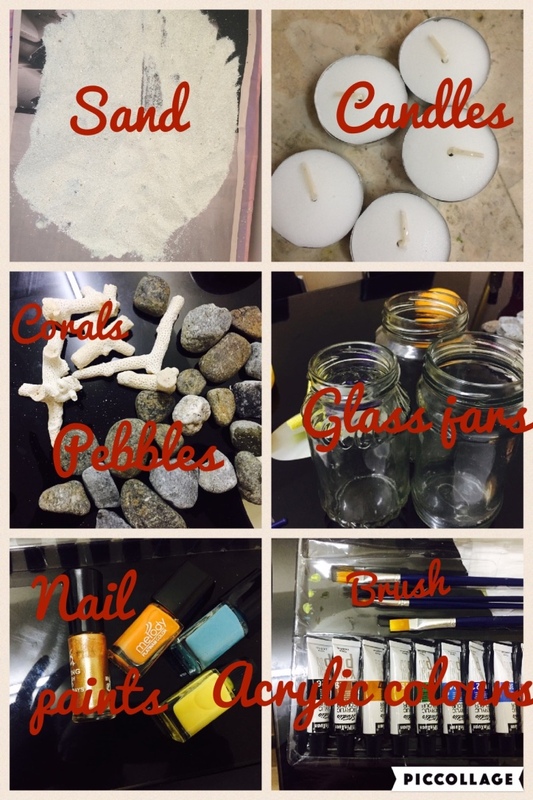 Its the easiest to paint the coral.Once the painting part is done and all the materials are dried up.Start putting them in the jar just remember while pouring the sand to revolve the jar keeping the spoon on the rim as it will give a even look. 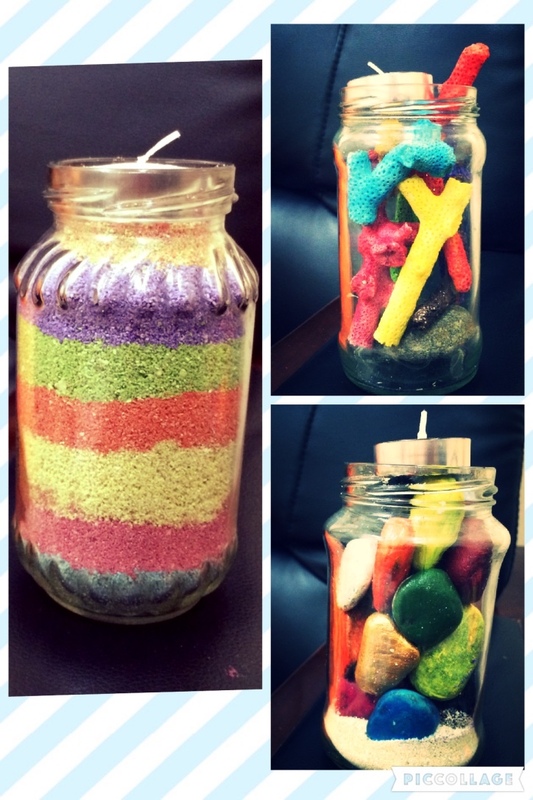 Keep them in any cosy corner of the house ,lit the candles to get the perfect look. Wishing you all a very Happy Diwali ..May this festival of light bring happiness ,prosperity and most importantly enlightenment into our lives. Dental Hygiene for babies- When to start and how!! I Don’t know coding I simply use the option provided by default by wordpress.All the best for your blog. Thank you so much.You made my day.Hope I keep up to your expectation every time. Great site you’ve got here.. It’s difficult to find good quality writing like yours these days.